Transypoo! – Page 5 – It's a comic about something! So, here you go, another Transypoo image! I’m very happy with the way this one turned out! And, no, I couldn’t find a place for Bob with out it looking too cluttered. 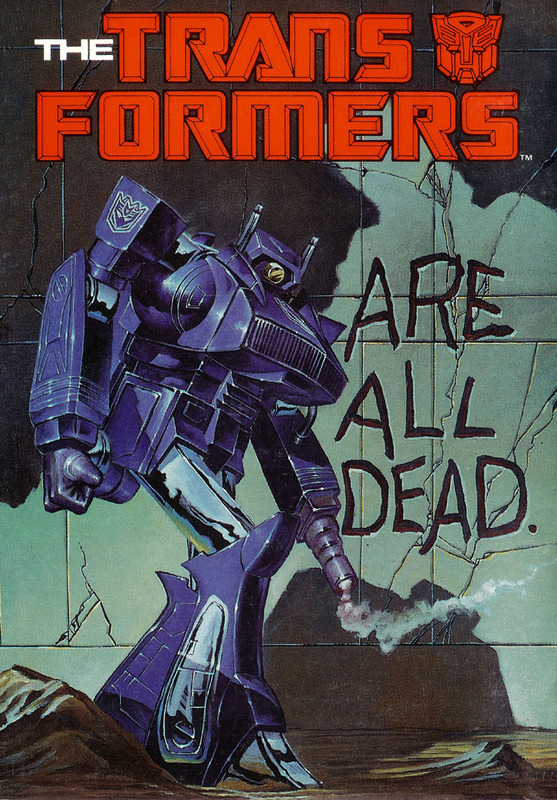 Hey, kids, I redid one of the most iconic Transformers covers in Transypoo style! Would this make it a cover cover? You may or may not be aware, but a while back I did a quick gag comic based off a text book title. Apparently. And well, I thought they were funny. Plus I said I was going to try and use my blog more, and what’s there better to blog about than art? I think… Hey! It’s a new concept for me, don’t gimme that ‘the old man’s gone nutty’ look! I can see you! I know where you live! Git off my lawn, consarnit! No, I don’t know what that title means either, the first part I think is about how I took a little TOO much time off and now I’m struggling to keep on my usual schedule. The part about caravans just popped into my head so I wrote it down. So, I got this blog thing down here and I should probably use it. Y’know be more open and stuff… Although my last blog was a horrible failure… but then to my knowledge there were only three people reading it, here, I assume there’s… well, more.